It is known of one of the most precious Biblical artefacts of all time, and it is about to go on public display. It is the James ossuary – a limestone box which is said to have held the bones of the purported brother of Jesus and if proven correct, would be the first physical link to Jesus. The first century AD burial box contains an Aramaic inscription that reads "James, son of Joseph, brother of Jesus." The box was carved from a single piece of limestone, which was typical of burial boxes used by Jews of first-century Palestine. In those days, bodies were left in a cave for a year before the bones were collected and put in a box. The limestone box has been at the centre of the most controversial forgery cases in decades. The Israel Antiquities Authority (IAA) had tried to prove in court that the items were forged by antiquities collector Oded Golan, but they failed in their ruling and subsequently tried, unsuccessfully, to gain ownership of the item. It is also alleged, that the item was vandalized by the Israeli government before being returned to its owner. Golan originally bought the box, for a pittance in the 1970s from an East Jerusalem antiquities dealer. He had it for more than 25 years before Professor Andre Lemaire pointed out the incredible significance of the letters etched into the side. It is therefore unsurprising that the object immediately became the centre of a high-profile legal case. In fact, the moment word of the object reached the IAA, Golan was immediately arrested and put on trial. If it is in fact authentic, as the court ruled, it provides convincing evidence that Jesus had a brother and would be the first object ever found from the family of Jesus. The stone burial box has been hidden from public view at the Israel Antiquities Authority since 2003. But it has now been released to be displayed around the world and for the first time, Golan plans to tell his whole story. A long-running archaeological controversy has been resurrected, thanks to a newly revealed analysis of scrapings from a first-century tomb in East Jerusalem and a bone box attributed to "James, son of Joseph, brother of Jesus." 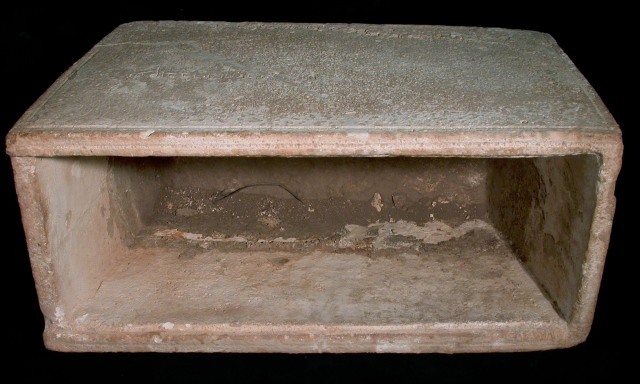 The analysis, described on Easter Sunday in The New York Times and the Jerusalem Post, links the limestone box (also known as an ossuary) to the tomb — which in turn has been linked to Jesus' family story. Both the box and the tomb have previously created media sensations: In 2004, Israeli authorities charged antiquities dealer Oded Golan with forging the "Jesus inscription" on the bone box, but the dealer was acquitted in 2012 after drawn-out legal proceedings. Meanwhile, in 2007, a TV documentary titled "The Lost Tomb of Jesus" claimed that the tomb could have been the burial spot for Jesus and his family, based on a statistical analysis of the genealogical relationships between the names listed in the inscriptions. This limestone box, which was used to bury human bones in ancient times, bears an inscription reading "James, son of Joseph, brother of Jesus." 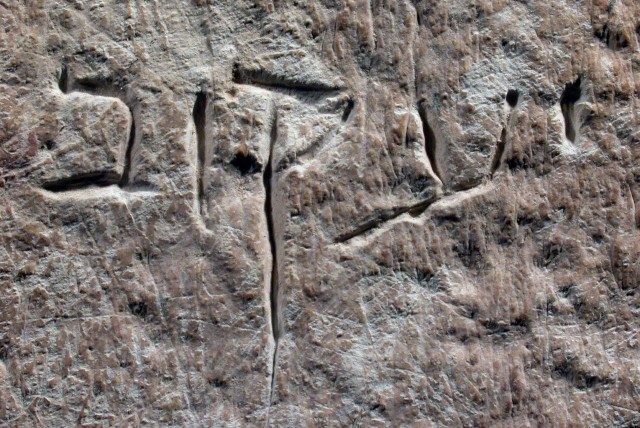 An inscription in Hebrew reading "Ya'acov," the Hebrew name for James, is seen on an ancient box used to bury human bones, or ossuary. The latest study, conducted by Israeli geologist Aryeh Shimron, found the same chemical signature in soil from the tomb and in scrapings from the box with the Jesus inscription. That led him to conclude that the box came from the tomb, known as the Talpiot Tomb or the Jesus Family Tomb. Shimron's findings gave a boost to those who claim a linkage between the artifacts and the historical Jesus. "This find illustrates that the James ossuary is authentic and the Jesus Family Tomb indeed belongs to the family of Jesus Christ," Simcha Jacobovici, director of "The Lost Tomb of Jesus," told the Jerusalem Post. However, Golan told the Times that the findings were "not enough to determine anything conclusively." The research has not yet been published in a peer-reviewed journal.